What is Dog Hair Day? Dog Hair Day is the brand name of our especially designed dog shampoo. We are proud supporters of the Beauty Without Cruelty initiative. 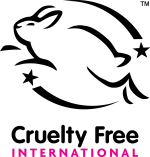 Also we have been awarded the Cruelty-Free International Leaping Bunny Certification, Naturewatch accreditation and the Ethical Shopping Award. Why Buy Dog Hair Day Dog Shampoo? We created Dog Hair Day with 97% naturally-derived ingredients to suit the pH balance of your dog’s skin. 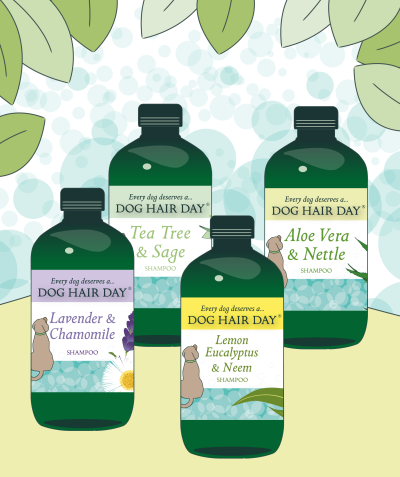 Additionally, Dog Hair Day has a transparent policy: all the ingredients are available to view on our bottles’ labels and on our website. Also we have the shampoos tested to human cosmetic standards. Actually, there is no legal obligation to have dog shampoos tested at all or to have ingredients listed on dog shampoo bottles, which means that with many dog shampoos you have no idea what sort of chemicals you are using on your dog’s skin. We do not use parabens, or harsh chemical detergents. Instead, we specifically chose the ingredients to work in harmony with your dog’s skin and be naturally fragranced. 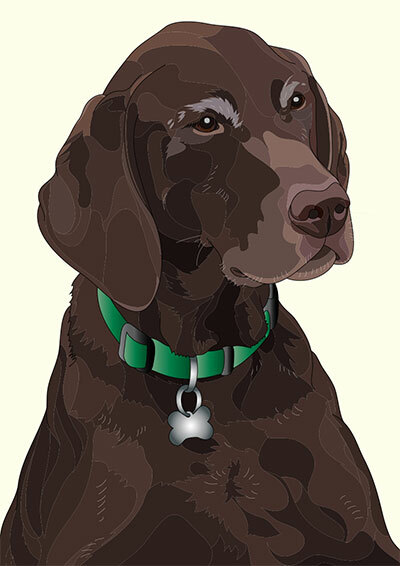 Our easy ordering process means that your dog shampoo is delivered to your door. Before we created Dog Hair Day we owned a pet shop based in Lancaster called flynnthedog Pet Supplies. As dog lovers, we have always been very conscious of the products we use on our dog, George, and tried to reflect that in the products we sold. George is a much-loved family member and the inspiration for the shampoo. We care as much about the ingredients in our dog shampoo as the ingredients of products we use on ourselves. We wouldn't use a shampoo that had no ingredient label and we wouldn’t use one on George either!